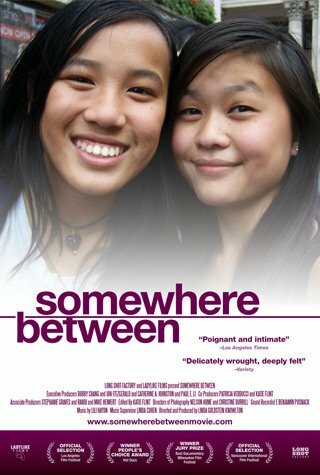 In profiling Chinese adoptees in contemporary America, Linda Goldstein Knowlton’s (WORLD ACCORDING TO SESAME STREET) deeply moving documentary illustrates that even the most specific of experiences can be universally relatable. Of the roughly 80,000 girls who have been adopted from China since 1989—a decade after China implemented its One Child Policy—the film intimately follows four teenagers: Haley, Jenna, Ann, and Fang. These four wise-beyond-their-years, yet typical American teens reveal a heartbreaking sense of self-awareness as they attempt to answer the uniquely human question, “Who am I?” They meet and bond with other adoptees, some journey back to China to reconnect with the culture, and some reach out to the orphaned girls left behind. In their own ways, all attempt to make sense of their complex identities. Issues of belonging, race, and gender are brought to life through these articulate subjects, who approach life with honesty and open hearts.